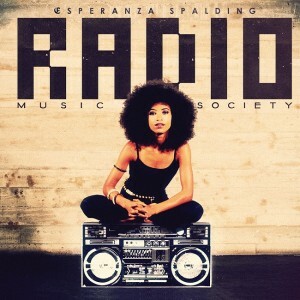 Esperanza, she really has her heart in that hallowed place in the 70s when soul, funk, jazz and Latin sounds liberally intertwined to break down the barrier between highbrow and pop sensibilities in African-American music. She likes songs as well as solos. Her guiding spirits are Stevie Wonderand Wayne Shorter, both of whom she covers here. Hence there is no end of chordal finesse, finely wrought melodies, subtle but nonetheless hard-edged rhythmic pulsation, and above all a glowing sound canvas – electric piano colours à la Innervisions are dominant. Spalding is too able a musician to botch this template, so the obvious enquiry is: does she bring sufficient personality to the table to avoid being derivative? For the most part, yes. There are times when the sources of inspiration are perhaps just too telegraphic, but a piece such as Cinnamon Tree, with its swish countermelody of hauntingly low, grainy strings has a subtle lyricism similar to what can be heard on Spalding’s auspicious 2006 debut Junjo, while a rollicking, densely layered reprise of Shorter’s sadly neglected gem Endangered Species shows a pleasing degree of lateral thinking. Furthermore, a quite sprawling list of star collaborators – the aforesaid Lovano, drummer Jack Dejohnette, and guitarist Lionel Loueke among others – ensures a high standard of execution. While some may accuse Spalding of playing safe, the 27-year-old has produced quality material at this still early stage of her career. We know that she has talent as abundant as her Afro. The essential question is: what will it grow into?